Mr. Trent's Classroom: Valentine's Day Celebration! As part of our Silver Jubilee "25 Silver Acts of Kindness Challenge", we will be having a special Valentine's Day celebration! 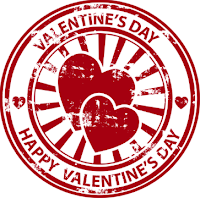 On Thursday, February 14 please feel free to bring in a special note or Valentine for your homeroom classmates. I do ask, if you choose to participate, that you kindly include everyone in the class (I will give you a class list on Tuesday to make sure you don't miss anyone). In addition, you may also bring in a snack to share while we are delivering our mail. This is another great opportunity to show those around you how much you appreciate their friendship! Decorate a Duck for Montessori Education Week!